Let’s face it: perhaps the best free music service available isn’t Spotify, Rdio, Pandora, or anything else—it’s Google’s YouTube. And on Wednesday, Google launched YouTube Music Key, a subscription service that makes it easier to check out your favorite artist's videos, too. 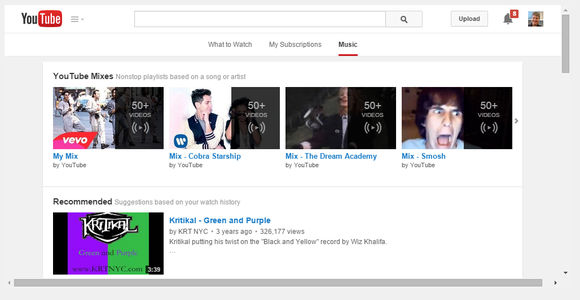 Google actually made two announcements: First, the company is reorganizing YouTube to break out a separate “Music” tab, complete with “discography” mixes that stream songs from a single artist, one after the other, with no need to click through. 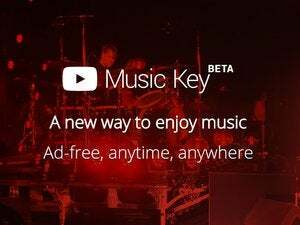 And then there’s YouTube Music Key, a $9.99/month service that bundles in a bunch of features for those who can’t get enough music. In the coming days, you'll also be able to play "albums" of an artist's music, either via YouTube itself or its partners. YouTube Music Key’s mobile app. Why this matters: For the better part of a decade, Google has been trying to increase the number of times you view its YouTube videos, whether it be on the Web, on your TV, or on your mobile phone. 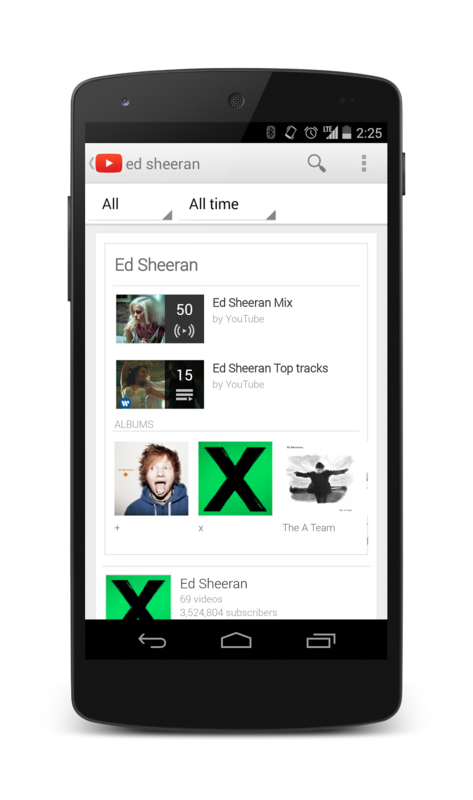 With YouTube Music Key, Google is exploiting its niche as one of the largest repositories of music videos, pairing it with its on-the-go music service, Google Play Music All Access. And quite frankly, if you view it from Google’s perspective, the other services can’t compete. 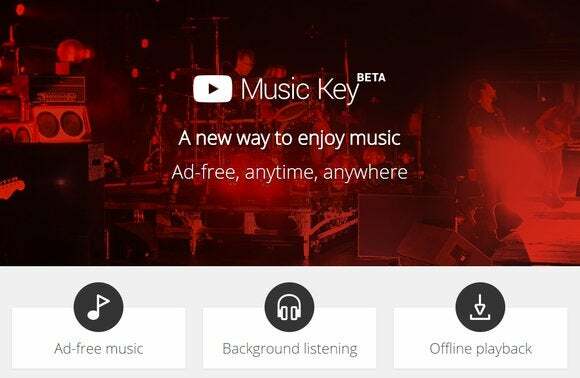 So what is YouTube Music Key? A bundle of several features: ad-free video playback, naturally; offline playback, so that you can listen to YouTube music without an Internet connection; and the ability to play back music as a background service, meaning that you can surf the Web and still listen to your favorite tunes. Oh, and Google tossed in a free subscription to Google Play Music All Access, too—Google’s MP3 a-la-carte streaming service that also costs $9.99 per month. So that’s quite a deal, on paper. 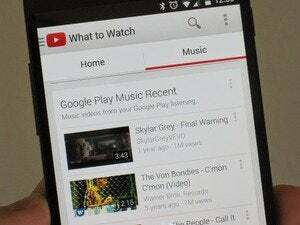 But, as you might imagine with a Google product, YouTube Music Key is in beta. For those who get it on early, Google will knock down the price to $7.99 per month. And for those who can wangle an invitation—act fast and ask for one—you can try it out for six months for free, Google says. YouTube’s “biggest fans,” presumably frequent visitors, will also be asked to try it out for free, so you may already have an invitation waiting. Note that Google and YouTube are taking the carrot approach, not the stick: You’ll still be able to search for and play back any music video you want on YouTube, just with ads, I’m told. (I would assume there will be many blurbs promoting Music Key, as well.) Google representatives told me that the new features are conveniences that users (and artists) will appreciate. Specifically, Music Key will allow music to be played back even when the phone is locked or while using another app. And while it isn’t quite clear how much music (or what) will be cached offline, it will be stored there for a period of days before the user will need to resync. Meanwhile, you’ll find that the Music tab on YouTube is already live. My page shows off my incredibly bland music taste, my search for amusing videos for my kids, and my son’s obsession with Ray Parker’s Ghostbusters title track. Fortunately, there’s no indication that anyone else will ever see what lousy taste in music you have.